will go grab a bottle or two and let you know what its like!! Fantastic news - though I lament that none of this wine will likely make it to Vintages. I pray that I may be wrong, however. 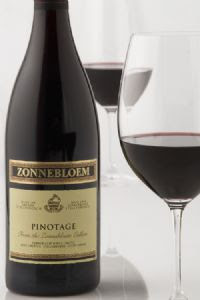 Zonnebloem was my very first Pinotage, and it was the producer that got me fascinated with the grape. Anybody out there interested in a 1.5 L bottle of Zonnebloem Pinotage 1997.....R ?